Evert Culpepper is the father of an infant born 29 Dec 1910 in Bee Co., Texas. Marvin A. Culpepper, died 23 Apr 1918 in Bee Co., TX, 14686. Carl Culpepper, Son, M, 11, S, TX/TX/TX. Charles E Culpepper, White, born 1915 in Texas; Resides in Bee Co., TX; Enlisted 19 Nov 1941 at Brooks Field/San Antonio, TX in the Air Corps as a Private; Education: 2 years of high school; Occupation: N/A, Single; Height: 71 in., Weight: 179. Charles E Culpepper Jr, Male, Married, died 12 Aug 1967 in Bee Co., TX. Don Owen Culpepper, Male, born 14 Jul 1940 in Bee Co., Texas, child of Grace Aline Price. Carl A Culpepper, White, born 1918 in Texas; Resides in Bee Co., TX; Enlisted 26 Jan 1945 at Fort Sam Houston, TX in the (Unk Branch) as a Private; Education: 3 years of high school; Occupation: Tractor or Truck Driver, Married; Height: 69 in., Weight: unk. Carl A Culpepper, Male, Single, died 10 Jan 1973 in Victoria Co., TX. PLAINVIEW - Grace Aline Culpepper, 79, died Monday, March 13, 2000. Memorial services will be Monday, March 27, in Prairie House Chapel. Her body was donated to Texas Tech Medical School. Arrangements are by Bartley-Silva Funeral Home of Plainview. Mrs. Culpepper was born in Perryton. She was a homemaker and a Baptist. She was preceded in death by a son, Don Culpepper. Survivors include a sister, Ruby Lee Casteel of Kress; a brother, H.T. 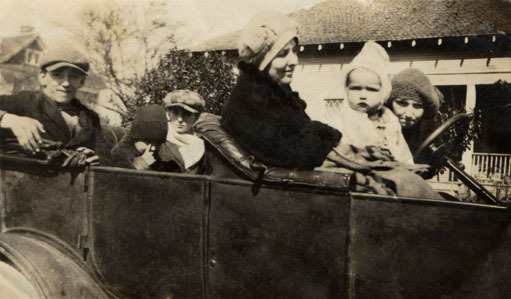 Price of Kansas; and a niece, Dovie Gilleland of Plainview. Don O Culpepper, Male, died 31 Oct 1984 in Harris Co., TX. Grace Aline Culpepper, died 13 Mar 2000 in Hale Co., TX. Fernando Arana, Laborer, M, May-1873, 27, WD, TX MX MX, Farm Laborer. C. B. Culpepper, Son, M, 3, S, TX TX GA.
James M. Culpepper, Son, M, 6, S, TX TX GA. Biography* � Lubbock - Corinne Ethel Reagan, 95, died Wednesday, March 11, 1998. Services will be at 11 a.m. today in Llano Cemetery Mausoleum Chapel in Amarillo. Burial will be in Llano Cemetery in Amarillo by Resthaven Funeral Home. Mrs. Reagan was born in Shiner. She moved to Lubbock in 1960 from Amarillo. She was a homemaker and a member of the Monterey Church of Christ. She married Olin Reagan in 1918. He died in 1956. Survivors include a daughter, Jamie Reagan Kelsey of Lubbock; a sister, Bernice Boyd of Santa Barbara, Calif; a brother, James Culpepper of Pampa; and two granddaughters. Olin Reagan died 2 Feb 1956 in Potter Co., TX. Josephine Culpepper, died 16 Nov 1957 in Grayson Co., TX. E-mail written 2000 to Lew Griffin from Carrie Anna Steineckert (#38415), Kaysville, UT, e-mail address. Joe Culpepper is the father of an infant born 6 Aug 1903 in Karnes Co., Texas. Alton Culpepper, Lodger, M, 21, S, TX TX TX, Farm Laborer. A B Culpepper is the father of an infant born 18 Dec 1924 in Potter Co., Texas. Richard A Culpepper, White, Single, born 1924 in Texas, residing in Monterey Co., California, enlisted as a Private in the US Army on 20 Apr 1943 in California. Barbee Culpepper, Dau, F, 2 3/12, F,S, TX TX OK.
Perry Alton Culpepper, Male, born 6 Jul 1937 in Potter Co., Texas, child of Alton B. Culpepper and Myrtle M Cunningham. Barbia Joe Culpepper, Female, born 26 Mar 1928 in Potter Co., TX to Alton B Culpepper and Jaunita Cherry. Mitchell Wayne Culpepper, Male, born __ 1945 in Potter Co., Texas, child of Alton B. Culpepper and Myrtle Cunningham. Myrtle Marie [Cunningham] Culpepper, F, 15 Oct 1911, Missouri, 3 Feb 1992, 80Yrs, Brewer. Cebern Culpepper, born 23 Aug 1906 in Karnes Co., Texas. C. Bertram Culpepper, Lodger, M, 24, S, TX/TX/TX, Prescription Clerk, Drug Store, Vet=No. J M Culpepper is the father of an infant born 4 Apr 1911 in Briscoe Co., Texas. John A. Russell, Head, M, 21, M, md@21, AL AL AL, Salesman-Bottling Co.
James M. Culpepper, Brother-in-Law, M, 17, S, TX TX TX, Door Boy-Theatre. Billie James Culpepper, Male, born __ 1936 in Potter Co., Texas, child of James Milton Culpepper and Ruby Inez Green. Rubye Inez Culpepper, Female, died 11 Sep 1998 in Potter Co., TX. Linda Gail Culpepper, Female, born __ 1943 in Potter Co., Texas, child of James Milton Culpepper and Rubye Inez Green. "Ira Lee Culpepper was born Aug. 4, 1910". 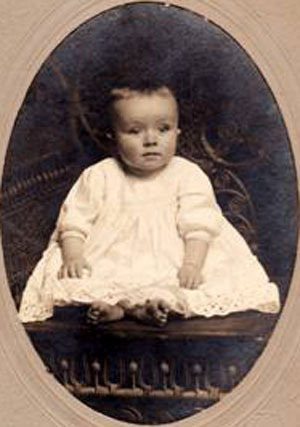 Infant (Ira Lee) Culpepper, born 5 Aug 1910 in Wilson Co., TX to Mathew J Culpepper. Nina Culpepper, Dau, F, 2, S, TX TX TX. Mary E. (Mc Bride) Culpepper, Dau, F, 19, M, md@19, TX TX TX. Jacob Richard Culpepper, 2 Feb 1934 – 30 Jul 1944. Richard Culpepper, died 30 Jul 1944 in Bexar Co., TX. Lela Culpepper, 6 Apr 1887 – 1 Oct 1975. Matthew John Culpepper died 19 Mar 1959 in Wilson Co., TX. Lela M. Culpepper, Female, died 1 Oct 1975 in Wilson Co., TX. Betty J. Culpepper, Female, born __ 1932 in Wilson Co., Texas, child of Ira Lee Culpepper and Mary E. McBride. Lenell Culpepper, Female, born __ 1935 in Wilson Co., Texas, child of Ira Lee Culpepper and Elmira McBride. Marilyn Gail Culpepper, Female, born __ 1947 in Bexar Co., Texas, child of Ira Lee Culpepper and Mary Elmira McBride. Mathew Vernon Culpepper, Male, died 27 Feb 1988 in Bexar Co., TX. Joy E. Culpepper, Dau, F, 1 6/12, S, TX TX TX. Hollis Wayne Culpepper, Male, born 23 Mar 1953 in Bexar Co., Texas, child of Alma Lee Wiley. Ruby Gene Culpepper, Female, born __ 1938 in Wilson Co., Texas, child of Matthew Vernon Culpeper and Alma Lea Wiley. STOCKDALE - Alma Lee Culpepper, 86, of San Antonio, died Saturday, Oct. 1, 2005. She was born July 6, 1919, in Wilson County, to the late Benjamin Franklin and Minnie Mae (Kidd) Wiley. She was a retired clerk for the food industry, a homemaker and a member of the Baptist Church. Survivors: daughter, Ruby Gene Funk; son Ronnie Vernon Culpepper; 11 grandchildren; and 14 great-grandchildren. Preceded in death by: husband, Mathew Vernon Culpepper; son, Hollis Wayne Culpepper; daughter, Judith Ann Smith; brother, Wilburn Wiley. Visitation will be 10 a.m. Wednesday at Finch Funeral Chapel. Services will be 11 a.m. Wednesday at the Chapel, the Rev. Scott Jones officiating. Obituary of Alma Lee Wiley (Mrs. Matthew Vernon) Culpepper, published Tuesday, October 4, 2005. Hollis Wayne Culpepper, Male, died 22 Sep 1991 in Bexar Co., TX. 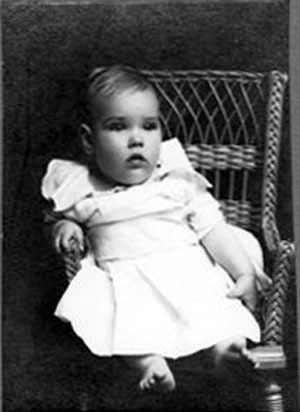 Infant (Norma Faye) Culpepper, born 30 Mar 1913 in Wilson Co., TX to Mathew J Culpepper. Norma Faye Culpepper, 30 Mar 1913 – 13 Aug 1919. Norma Fay Culpepper, Wilson Co., Aug 13 1919, 25604. Mrs. James L. (Vivian Hastings) Culpepper wrote 27 Jun 1978 that Lloyd was going to retire from United Gas Pipeline Co. 1 Jul 1978. In a 17 Jan 1979 letter Vivian added: My husband & I attended the "Awards" dinner of United Gas Pipeline Co in Houston, for the 25-30-35 & 40 year employees. Even tho he took an early retirement in July he was included and he and the other 40 yr men received nice perpetual motion clocks - No electricity, No Wind, No battery - just needs perfect balance - 7 or 8 in. square. Quite a clock - now that he does not have to live by the clock. 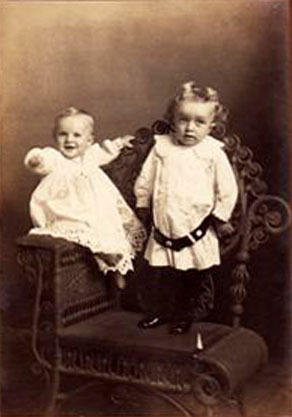 Infant (James Lloyd) Culpepper, born 20 Jun 1915 in Wilson Co., TX to Mathew J Culpepper. James Lloyd Culpepper, Male, died 5 Feb 1991 in Refugio Co., TX. Carolyn Edna Culpepper, Female, born __ Nov 1942 in Guadalupe Co., Texas, child of J L Culpepper and Vivian Hastings. Sandra Darlene Culpepper, Female, born __ 1947 in Refugio Co., Texas, child of James Lloyd Culpepper and Vivian Hastings. Barbara Sue Culpepper, Female, born __ 1951 in Duval Co., Texas, child of James Lloyd Culpepper and Vivian Hastings. Biography* � Vivian was one of the major contributors of information on the descendants of James Louis Culpepper. of San Antonio and many other relatives and friends. Biography* � Edna Ermine was known as Ermine. Her birth was recorded in the M. J. Culpepper Family Bible: "Edna Ermine Culpepper was born Dec. 24, 1916"
Find A Grave Memorial# 44146113. Edna Ervine Culpeper and Roy Pleaz Meek are the parents of Donald Ray Meek, Male, born __ 1936 in Wilson Co., Texas.